Smooth and light chicken liver pate, made dairy-free and keto. I know what you’re thinking, “Liver? Ick!”. Why do I know what you’re thinking? Because I thought it, too, until I gave liver a chance. Now, I love it. Let’s be clear here, I have never and will never give beef liver a chance, that stuff is a lost cause. If you’ve tried liver and hated it, it was probably beef liver. Unless of course you’ve tried Epic’s Beef Liver Bites (available on One Stop Paleo Shop), it’s the only way I’ll eat beef liver, ever. Beef liver has a metallic taste and is tough as leather. Let’s not make this keto pate with that stuff. Because then you’ll hate me and never come to this keto blog again. Chicken liver however, wowza! If done right, it’s delicious and keto. I promise. 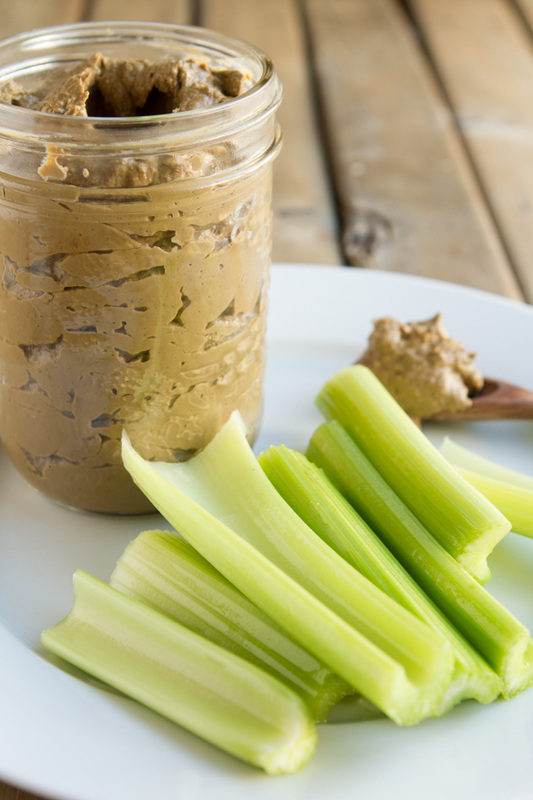 The key to this keto pate recipe is letting it sit in the fridge for a day or two before you eat it. Surprisingly, I go through a keto batch in two days, tops. 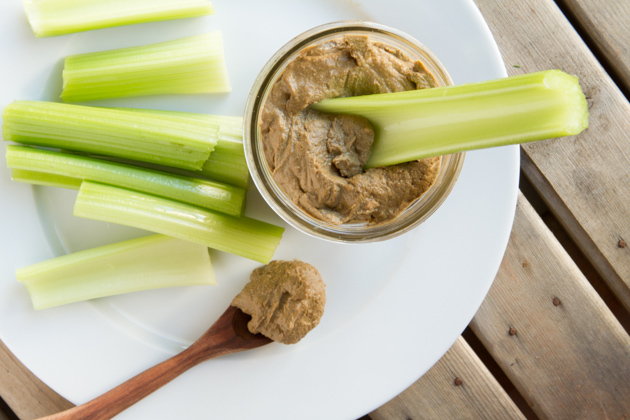 This dairy-free, keto pate recipe is great with low-carb, keto veggie sticks, celery is my favorite. 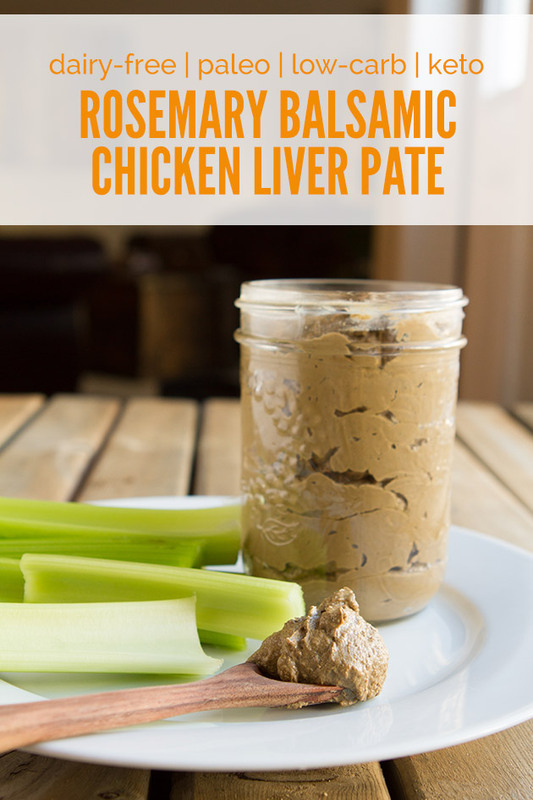 If you’ve been wanting to try liver (for all of its amazing keto health benefits) look no further than this simple keto chicken liver pate recipe. 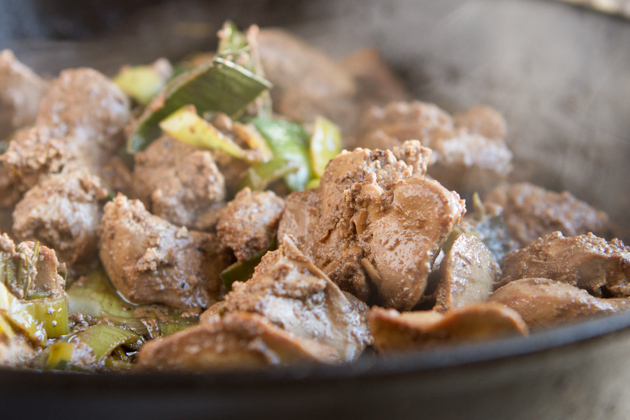 And, if slathering your low-carb, keto veggies with keto chicken liver has your stomach turning, these keto paleo crispy chicken livers are a great place to start. This keto recipe is from my high-fat, low-carb, ketogenic program, Fat Fueled. 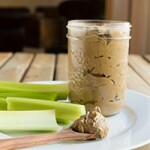 Smooth and light chicken liver pate, made dairy-free and keto. Place the livers in a glass dish with water and apple cider vinegar and soak for 12-24 hours. 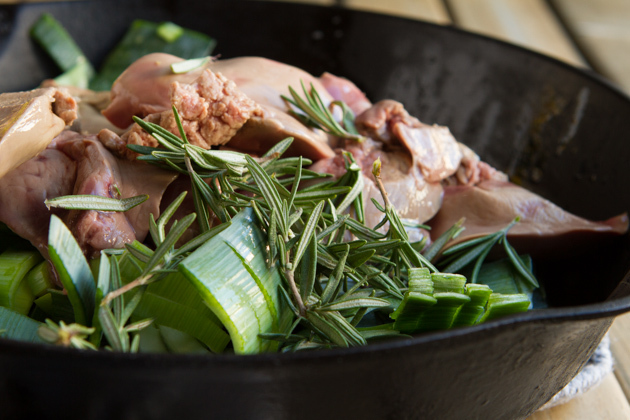 When ready to cook, strain the livers and place in a cast iron pan with coconut oil, leeks, rosemary and salt. Cover and cook on medium-low for 10 minutes, or until livers are cooked through, but slightly pink on the inside. Remove from the heat and let sit for 5 minutes. Transfer cooked liver and all juices to your high-powered blender. Add balsamic vinegar and ground pepper. Blend until very, very smooth. Transfer to a mason jar and store in the fridge for 3-4 days. Best if served a day or two after making. 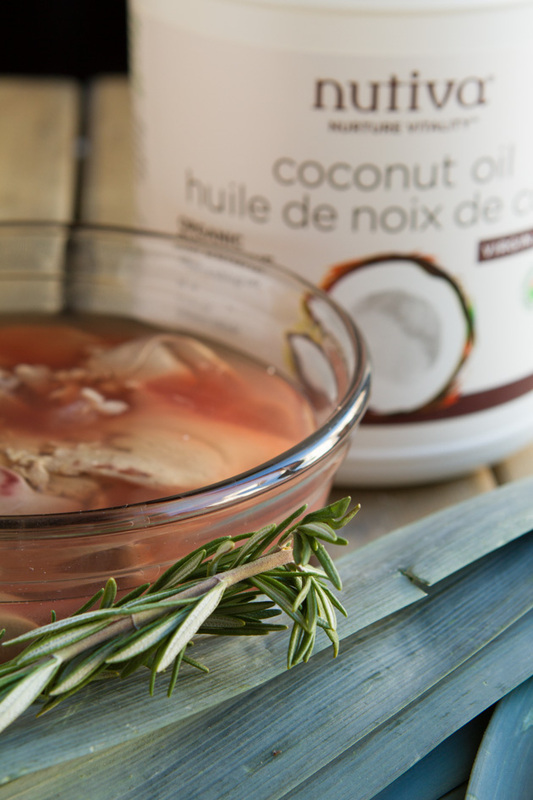 Add liver, coconut oil, leeks, rosemary and salt to your cast iron pan. I use cast iron because it’s easy to clean and will last forever. Feel free to use any pan for these keto ingredients. Cover and cook the keto ingredients on medium-low for 10 minutes, or until livers are cooked through, but slightly pink on the inside. You don’t want to overcook them here. If you’re new to eating liver, make sure to cook them well so you don’t get any funky tastes you’re not too sure of. 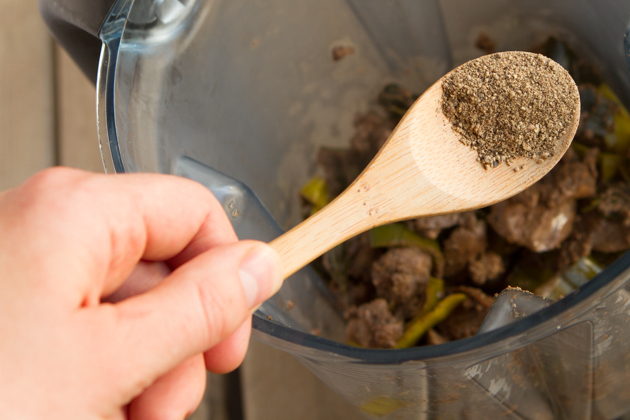 Transfer cooked liver and all of the yummy keto juices to your high-powered blender. Add balsamic vinegar and ground pepper. Blend until the keto mixture is very, very smooth. Dig in to the keto goodness (with celery)!